CES 2012 update: http://tabletblog.de/ got their hands on the Archos 70b IT at the CES 2012 tradeshow. 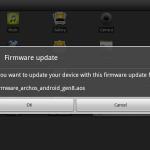 Apparently, like the Archos G9 models, it should be updated to Android 4.0 Ice Cream Sandwich first week of February, 2012. 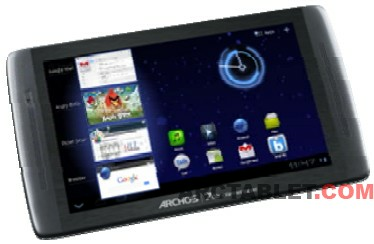 On the 20th December 2011, Archos has unveiled their Gen8 product refresh, called Archos 70b Internet Tablet. 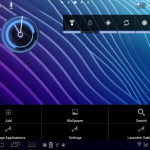 This tablet is basically an Archos 70 IT with a larger RAM (512 Mb instead of 256 Mb), a better screen resolution 1024×600 pixels (instead of 800×480 pixels) and an Operating System update to Android 3.1 Honeycomb. The TI OMAP 3 processor is clocked at 1.2 GHz. According to the press-release, the device does carry the Android Market. 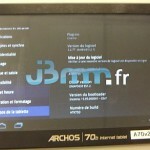 The Archos 70b IT should be available early 2012 for $199, 199 euros or £179.99.